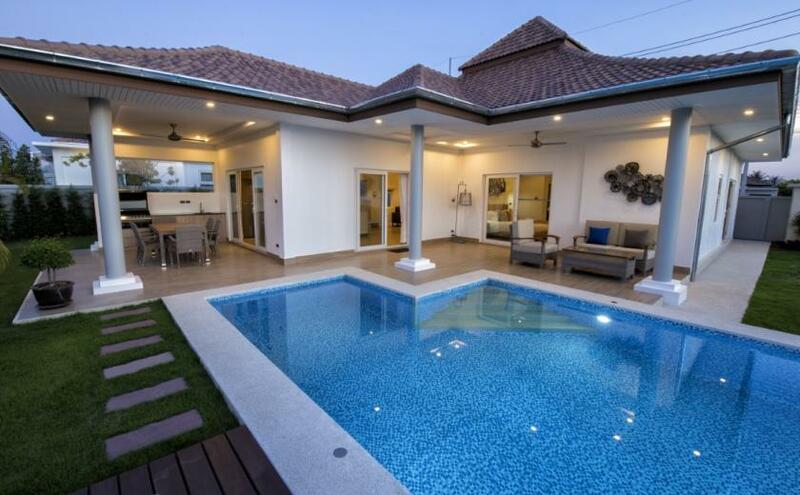 Are you thinking of moving to live in Thailand? 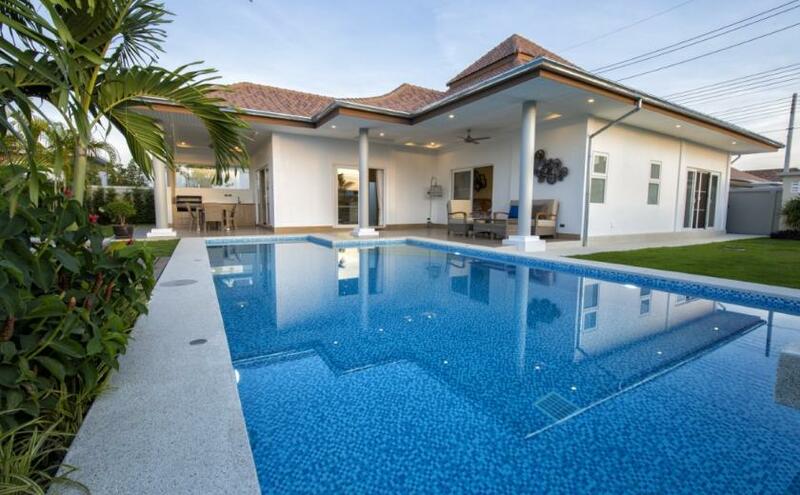 We are offering a unique opportunity for our customers, which will allow them to stay in one of our beautiful villas and allow you to try it out prior to purchasing. 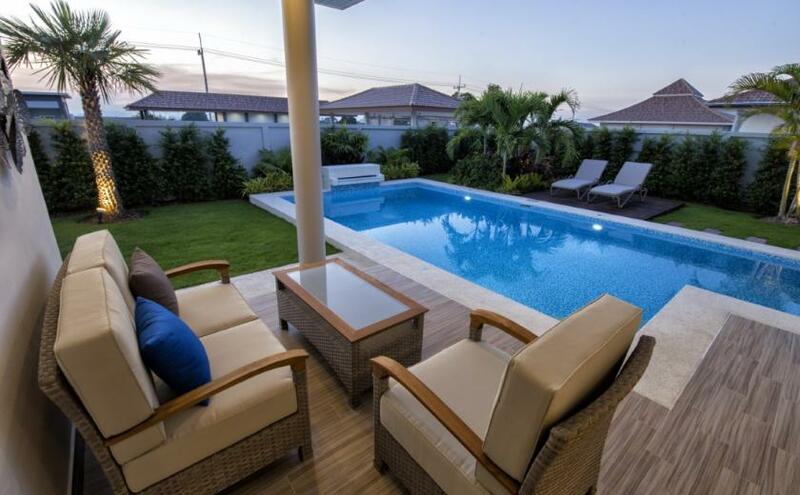 The Villa Orchid Prestige comes complete with a fully fitted European kitchen, furniture, BBQ area with separate terraces for dining & relaxing, swimming pool with sun deck area & a tropical landscaped garden. If you are travelling from overseas, we will organise your pick up from Suvarnabhumi Airport and bring you to Hua Hin for your stay. You will be required to spend a half day with our Sales Manager to show you around our development and show villas as well as discuss different purchase options. Stay must be a minimum of 3 nights & a maximum of 5. We will then arrange for your transport back to the airport once your stay is complete. 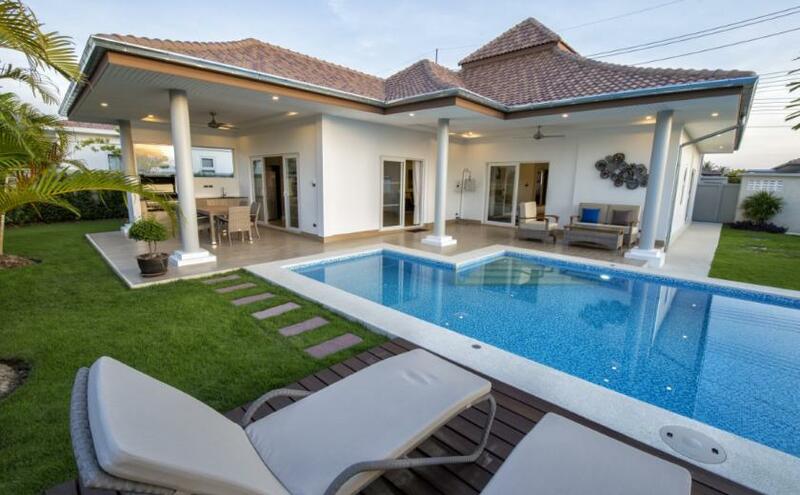 If you decide that you would like to proceed with purchasing a villa after your stay, within 1 month from your departure date, we will deduct the cost of your stay off the price of your new villa. Beautiful, high quality furniture supplied by Beautiful World Hua Hin. An Ensuite master bathroom while the rest of the villa shares the guest bathroom. If you decide to purchase a villa after your stay, the full cost will be deducted off your villa price. Terms & conditions apply. Please ask for full information from our Sales Manager.